The Ministries of Agriculture and Rural Development and Finance have proposed to extend the reduction and exemption on agricultural land use taxes for the phase 2011-2020, coming to abolish the taxes. 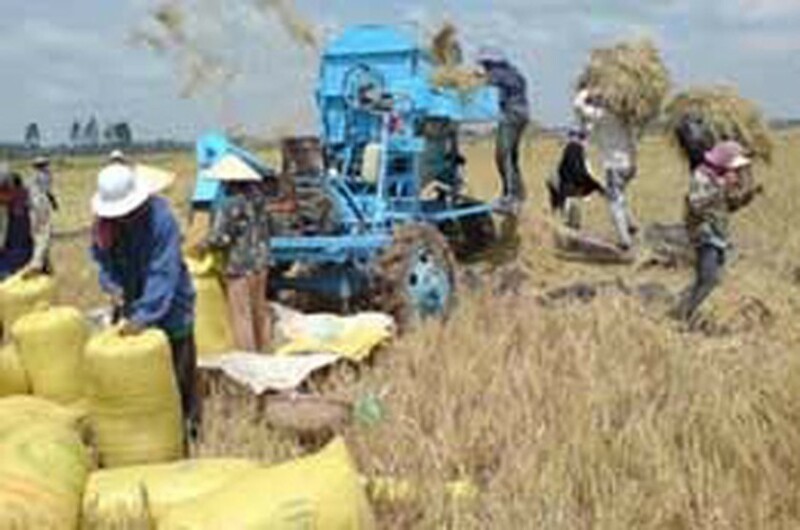 The policy has been implemented since 2003, under a Congressional degree, the Ministry of Agriculture and Rural Development said. 11.2 million households have enjoyed agricultural taxes exemption and reduction. Specifically, each of rural inhabitants has received an average exemption of VND50,000 a year, partly easing financial burden on poor farmers and encouraging them to focus on agricultural production. In related news, the Ministry of Labor, War Invalids and Social Affairs has ordered its departments to temporarily postpone doing surveys on poor households nationalwide until new poverty standards for the phase 2011-2015 will be issued. The change of criteria is suitable with the current socioeconomic conditions and the price fluctuation. With this new norms, the country will have about 16.5 millions poor people, or 3.3 million households. The surveys are set to begin early this month. In the old standards, applied for the phase 2006-2010, the poor are those with monthly average income of VND260,000 or below in urban areas and VND200,000 in rural areas.